The federal government has asked the Nigerian Financial Intelligence Unit (NFIU) to freeze five bank accounts belonging to Walter Onnoghen, chief justice of Nigeria (CJN). In a letter seen by TheCable, the office of Abubakar Malami, attorney-general of the federation, said the restriction should be in place pending the determination of the case against Onnoghen at the Code of Conduct Tribunal (CCT). The demand was based on a presidential executive order. 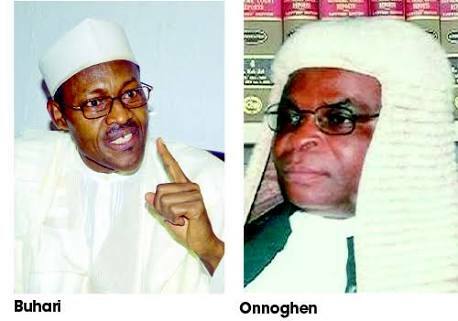 The federal government had filed a six-count charge of false assets declaration against Onnoghen after Dennis Aghanya, an ex-aide of President Muhammadu Buhari, wrote a petition against the CJN. 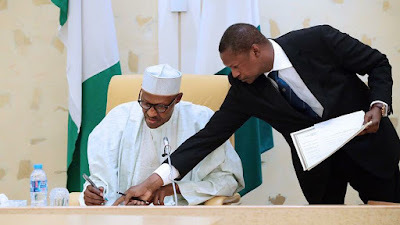 “I am directed by Mr. Abubakar Malami, SAN, the Honourable Attorney General of the Federation and Minister of Justice to request that you, pursuant to the Presidential Executive Order No. 6 of 2018, forthwith restrict normal banking operations on certain accounts belonging to Hon. Justice Walter Onnoghen pending final determination of the case against him at the Code of Conduct Tribunal (CCT/ABJ/1/19,” read the letter signed by Abiodun Aikomo. The Buhari administration has been under severe criticism since the report broke on Saturday. The opposition Peoples Democratic Party (PDP) has accused the All Progressives Congress (APC) government of intimidating the judiciary ahead of the elections.